Dolianova is a small Italian town located in the province of Cagliari, south Sardinia (or Sardegna in Italian). Cantine di Dolianova, the old co-operative of the town, is probably one of the most well known and advanced wineries in Sardinia, for quality and value. Founded in 1949, this co-operative, turned into a regarded winery, is located in the small village of the same name (Dolianova), in the Parteolla's region, few kilometers north from the town of Cagliari. Dolianova is the chief town of Parteolla, a hilly region which, due to its natural habitat, generous weather and medium consistent clayey limestone soil (of Miocene origin), is particularly inclined for the grape production. Dolianova's importance resides in its territory's richness, quite fruitful and marked by the traditional habits and inheritances that, throughout time, have contributed to identifying it as the most prominent town in Parteolla. Parteolla is Sardinian wine's center, crafting more than half of the Island production. The vineyards are planted partly on the Campidano plains and mostly on the nearby hills. Cantine di Dolianova receives the grapes from growers in the 5 communes of Parteolla, totallizing about 600 members and over 1,000 hectares of vines. Cantine Dolianova keeps an attentive eye on vineyard's management and imposes all of his growers to keep the yield to a minimum and harvest at perfect maturity to maximize the health of the grapes and thus obtain higher quality results. In the Parteolla region, local economy has been strongly characterized by the development of the Cantine di Dolianova, which already started in the sixties to bottle some of its traditional wines (classical lines "Dolia" and "Parteolla") for domestic and overseas markets. Years passed with great vintages and noticeable productions yet most co-operatives in general (in Italy and elsewhere) were slowly loosing their identity and sales by facing ups and downs, up until the late 80's, and needed a boost. Later, after the vineyards' extirpation ordered by the European Community in the 90's, a program of progressive innovation and restructuration of the vineyards started, giving a renaissance to the co-operatives. 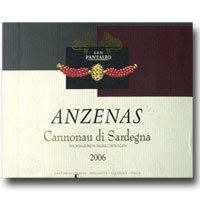 In Italy, Sardinia and pretty much trough out Europe, the year 2000 marked an era of important and decisive changes with continuous research to obtain higher quality wines, but also find new commercial strategies and especially bring major attention to label and marketing, to satisfy an ever increasing demand. Cantine di Dolianova, as natural progression to continue producing innovative yet traditional wines, invested in advanced technology and state of the art tools to revitalize its image by following a more entrepreneurial direction, meant to satisfy all markets. They separated the different wines produced into new categories and vinified the wines separately, depending on the parcels of origin and the selected grape varieties. Enhancing, by this bias, their new growing portfolio encompassing better wines for every budget, from the entry level (Dolia) made with young vines (yet with the same dedication and passion) to the single vineyard and higher end wines from older vines and more rigorous selections. Therefore, besides their old classical lines, two new brands and labels were born: "San Pantaleo"and "Vigne Sarde". They are the resulting fruits of constant work in the vineyards and the cellar, executed with competence, skill and passion and responding to all those characteristics that nowadays consumers are looking for: greatly crafted and flavorful wines for a good price. Bright ruby red with garnet reflects. Dark, stony mineral nose with dried, ripe dark berry aromas and floral, slightly smoky earthy notes. The palate is medium to full bodied, yet juicy with good intensity. It develops gradually in the mid-palate with earthy, somewhat rustic yet juicy, flavors and layers of tar, smoke, dark chocolate and dark ripe berry notes. The finish is a bit dry yet lingering, spicy and earthy. Overall, this Cannonau wine is pretty good and juicy, especially in the mid-palate, with a slight woody, tannic finish, saddle wood and licorice notes, and decent dark, earthy fruit profile from beginning to the end. Pair it with slightly rustic and substancial dishes, like Lamb shank or even some venaison or wild boar.